India’s leading 2 Wheeler manufacturer, Bajaj Auto has now officially launched the updated version of Pulsar RS200. You can read our review of Bajaj Pulsar RS200 that was done 2 years ago. When launched Bajaj Pulsar RS200 was available only in yellow, Red and Demon Black colors only. 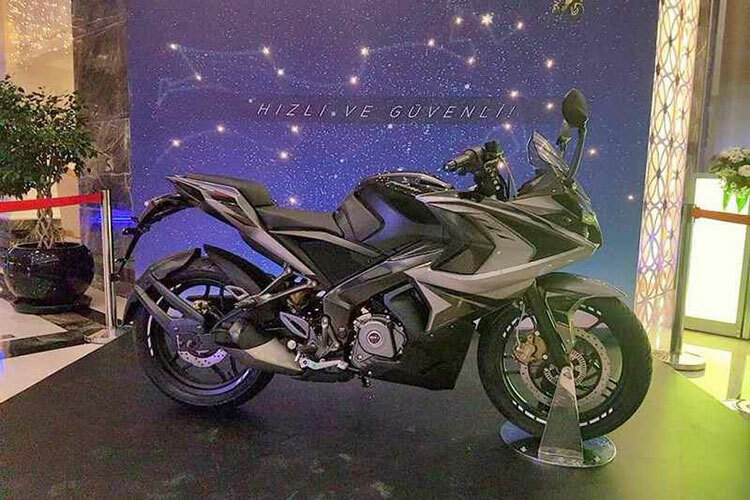 In the past, various automotive portals in India have revealed exclusive images of Bajaj Pulsar RS200. As an upgrade to RS200, new colors like Racing Blue (White/Blue) and Graphite Black (Grey/Black) were introduced. Pulsar RS200 is a good option for those who are looking for an entry-level performance sporty bike for under INR 1.5 lakhs. To keep the price within limits of Dominar 400’s price bracket, Bajaj has attractively priced the 2017 Pulsar RS 200 at INR 1,21,881 (ex-showroom, New Delhi) for the non-ABS variant and INR 1,33,833 (ex-showroom, New Delhi) for ABS variant. The all new 2017 Pulsar RS200 motorcycles will be getting mandatory feature of AHO (Automatic Headlamp On) starting from April 2017. The AHO feature has been mandated to increase visibility and avoid accidents involving two wheelers. When it comes to specifications, the all new Bajaj Pulsar RS200 is powered by 199.5 cc single-cylinder, 4-valve, liquid-cooled, fuel-injected engine. RS200’s engine is capable of churning out 24.50 bhp of peak power at 9,750 rpm and 18.60 Nm of peak torque at 8,000 rpm. 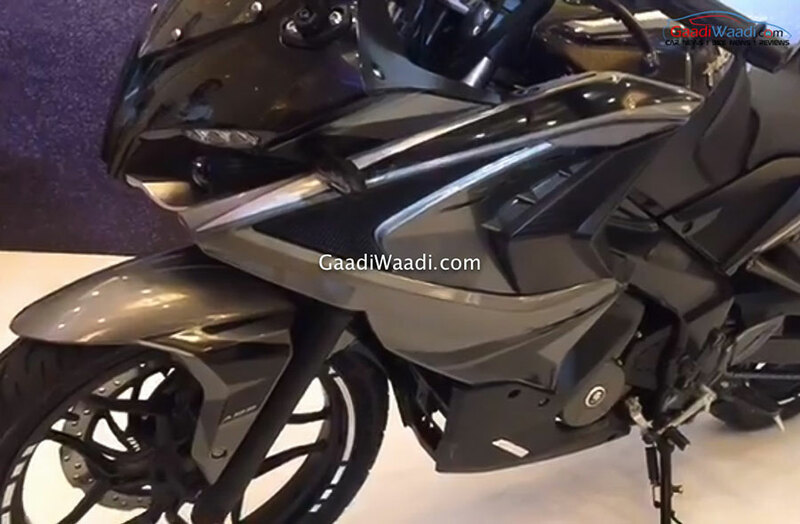 New Bajaj Pulsar RS200 is equipped with 320 mm front disc and comes with improved braking performance. When it comes to suspension duties, the all new Bajaj Pulsar RS200 gets telescopic front suspension with anti-friction bush and Nitrox monoshock absorber at the rear. RS200’s 17-inch alloy wheels wrapped in tubeless tyres like before. The motorcycle gets features like crystal LED tail lamp, round-shaped twin projector headlamps, LED eyebrows, clip-on handlebars etc. The new 2017 Pulsar RS200 competes against the likings of KTM’s RC200 and other motorcycles in the 200cc price bracket.